Hello beautiful! 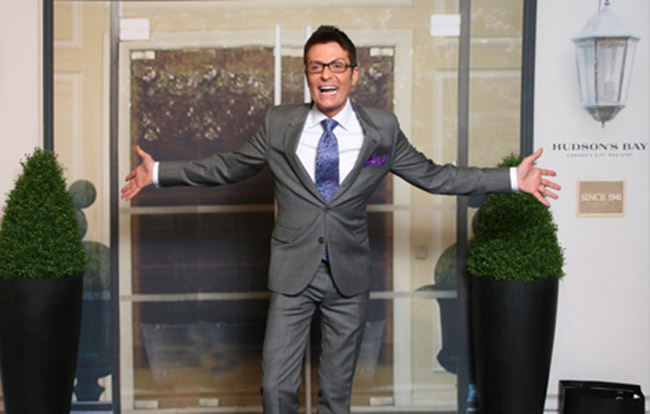 Canadian Brides mobbed this sensational launch event for a chance to meet Bridal Expert and Star of TLC’s Say Yes to the Dress Randy Fenoli. Imagine recreating an entire New York City store front. The Bay’s biggest launch event of the year! Brides got a glance of the new stunning Kleinfeld dresses coming soon to Toronto Hudson’s Bay, receive a personal photo with Randy in front of the Kleinfeld New York City storefront replica, and enter into a $10,000 Dream Wedding Dress Contest, which included 2 VIP flights, a 5- Star hotel and a coveted appointment at Kleinfeld New York to select the wedding dress of their dreams.